Every Industry has its dark-side. Just as processed foods are loaded with additives and fillers, so too are vitamins. So we set out to change things. Tespo vitamins and supplements focus on quality ingredients – only what you need, nothing you don’t. And once you realize what’s in your current vitamins, you’ll understand why we’re fanatical about this stuff. Have you ever noticed the list of inactive ingredients on your vitamin bottle? The list is long, not to mention impossible to pronounce! Check out some examples here. You might be surprised to learn that as much as 50% of a pill is comprised of fillers and inactive ingredients. Pills are simply not the most effective delivery format for supplements. 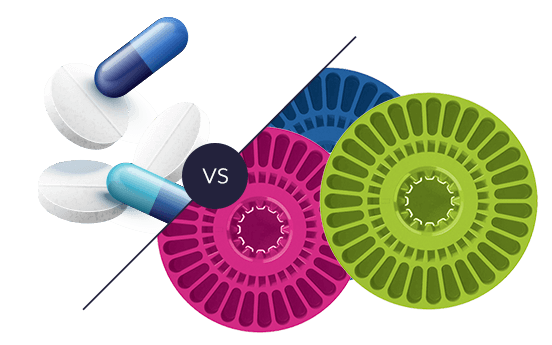 40% of the population reports difficulty swallowing pills, they offer poor absorption (compared to liquid), and pill routines are hard to manage. And as much as you like loading up your weekly pill organizer, you’ve got more important things to do. At Tespo, we’re obsessed with helping people improve their health and wellness. Because what’s the point of taking vitamins if they don’t help you feel better? The result of all this work is the Tespo Dispenser and our Tespo Pods – premium vitamins delivered monthly to your door. We’ve figured out how to remove the inactive ingredients that plague current vitamin formulations. Our formulas have only what you need and nothing you don’t. We’ve embraced liquid as the preferred delivery format, as liquid dramatically improves nutrient absorption in the body. We’ve made it easy to remember to take your vitamins on a daily basis. 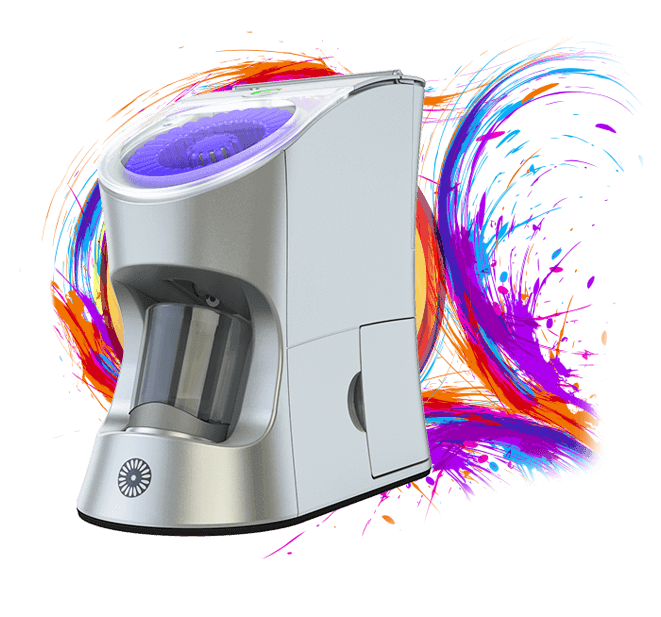 85% of Tespo customers report that the Tespo Dispenser on their countertop improves their compliance. The future of vitamins is here and thousands of people just like you are ditching the pills and unnecessary fillers and using Tespo every day to improve their health and wellness. READY TO GET STARTED WITH TESPO? WANT THE FULL TRUTH ABOUT VITAMINS?